Switzerland is particularly vulnerable to cyberattacks because of its high-tech infrastructure and financial services sector. A report published in 2015 by the professional service company, KPMG, stated that Swiss companies suffered losses of over CHF200 million ($201 million) due to cybercrime in 2014. Without a strong, vigilant and effective security system, the country’s entire network is vulnerable to a number of cyber-crimes and cyber-thefts. At EC-Council, we focus on enabling your organization to acquire human resource with skills to counter such cyber crime that will directly affect the security of an individual or an organization. Our courses and cyber security training Switzerland such as Certified Ethical Hacker, Computer Forensics, and Penetration Testing etc enable individuals to tackle and handle any hacking attempt to safeguard the entire system network. The Certified Ethical Hacker (CEH) or CEH Certification Switzerland is the world’s most advanced and sought after course in the field of information security when it comes to gaining knowledge as to how to safeguard system network and application through vulnerability assessments and pen testing. An organizations defense strategies against cyber-crime and cyber-threat cannot be used and applied until its work-force is not skilled with the most basic and fundamental information security knowledge. Working of viruses, virus analysis, computer worms, malware analysis procedure, and countermeasures, network scanning techniques and scanning countermeasures, system hacking methodology, steganography, steganalysis attacks, and covering tracks are just some of the concepts taught in the CEH Course Switzerland to a candidate to alleviate cyber-threat. Certified Ethical Hacker, Certified Security Analyst, Certified Incident Handler and many more Online ethical hacking training and courses offered were created keeping in mind the dire need to have a well organized, efficient and skilled workforce in organizations. 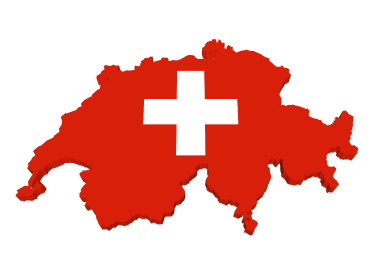 CEH Training Switzerland is taught through various modes of study at various locations across Switzerland. EC-Council offers iclass which is the online mode of study and the classroom trainings through accredited training centers. EC-Council holds classes on network security and fundaments of cyber security both online and classroom modes at various locations across the globe and can be registered by any individual. To know more about the ethical hacking online course and register for a class at your nearest location, Click here.